The best thing about weekends is breakfast… long, leisurely, lazy breakfasts with warm, homemade comfort food. I’m really good at making this happen in my house. Usually it’s waffles or pancakes or jazzed-up scrambled eggs with fancy toast. Recently though, it was muffins. Crazy- good, easy-to-make muffins. Fall muffins! 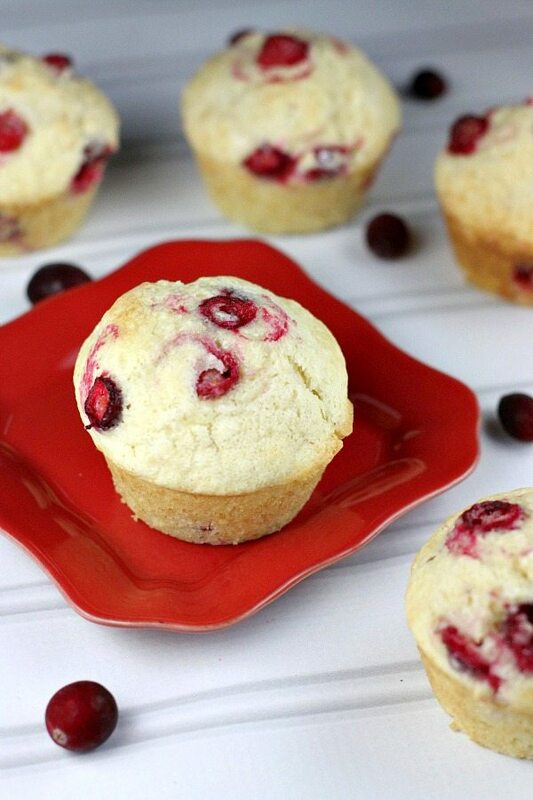 This recipe for Cranberry Muffins makes an enormous amount of muffins- two dozen, to be exact! I made half a batch for my smaller family. Just cut all of the ingredient amounts in half and you’ll have a nice, tidy little dozen! These muffins are best when they are perfectly warm and ready for a dot of butter just out of the oven. But you can certainly save them to munch all week-long. Or freeze them to thaw out during the school week for your kids. Serve them with scrambled eggs on a school morning, pack them in lunch boxes for a snack, and they make a good after-school snack too. Big hit at my house! 1. Preheat oven to 350 degrees F. Grease two 12-cup muffin pans. 2. In a small bowl, toss berries with powdered sugar; set aside. 3. Sift flour and other dry ingredients together into a large bowl. Use a whisk to blend the dry ingredients together. Make a "well" in the middle of the dry mixture. Pour eggs, milk and butter into the well. Stir lightly just until the dry ingredients are moist. 4. 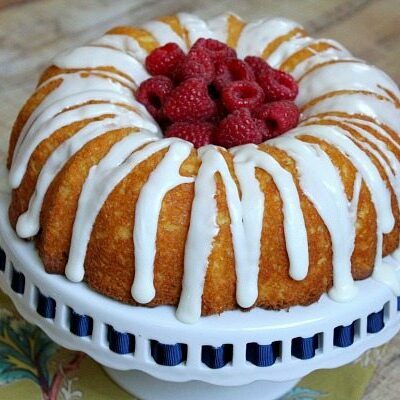 Gently fold in berries. Scoop into prepared muffin pans 2/3 full. Sprinkle a light layer of sugar on top of each muffin. 5. Bake for 25 to 30 minutes, or until toothpick inserted into middle of muffin comes out clean. *You can certainly cut this recipe in half if you'd prefer to have just a dozen muffins. *I prefer to freeze my fresh cranberries, and slice them in half when they are frozen. *For high altitude modifications (over 5,000 feet... 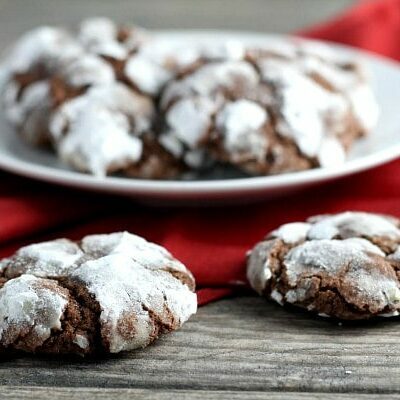 I'm at 5850), use 2/3 cup white sugar, reduce baking powder by 1 teaspoon and add an additional 1 to 2 tablespoons of milk. These are yummy! I love that the recipe is written to yield 24 muffins. If I’m going to dirty everything up, I want plenty to freeze. Thanks! So pretty, perfect for the holidays! Mmmm…. I love cranberries! I’ll have to try making an Orange Cranberry version. I love freezing fresh cranberries so I can enjoy them year round. 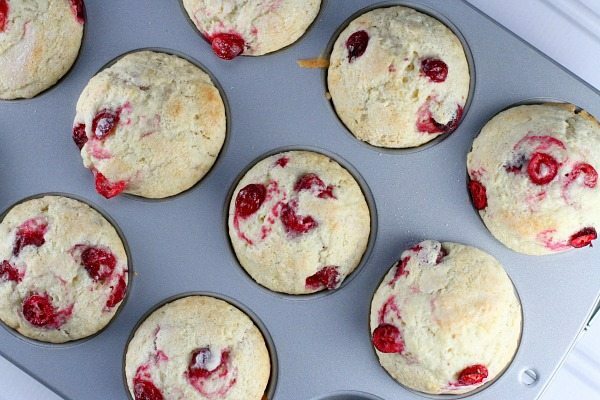 These muffins would be perfect for a leisurely breakfast with coffee. Pinning! 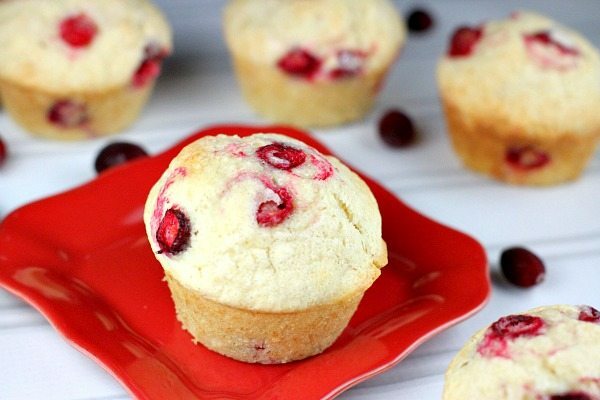 I’ve been keeping my eye out for fresh cranberries and these muffins look like a great place to start baking! I am so excited fresh cranberries are back in season! I shall celebrate with a big batch of these. Mmmmm. Hook me up with these beauties ~ pinned! 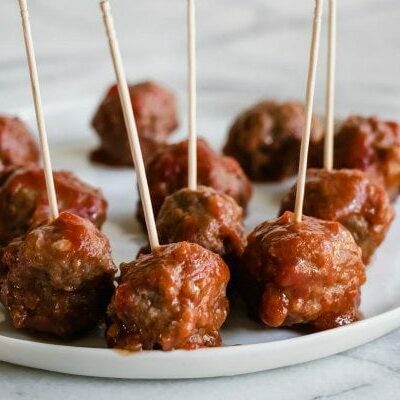 I would Love to make these but the directions say 6tsp. baking powder(??). 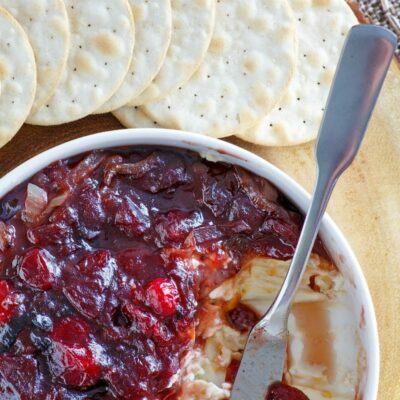 I bought cranberries last year and froze them for a great recipe like this.Thank you for posting this recipe!! That’s correct! If you’re at a higher elevation, reduce baking powder as instructed in the recipe. Weekend breakfasts are the best! Can’t wait to get cooking with cranberries again! Too funny – I saw fresh cranberries today for the first time this season at Costco!!! Love your idea to freeze for a little red white and blue action in July! 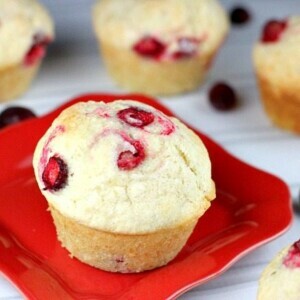 I love fresh cranberries, especially in muffins. I have to buy my years supply soon! These would be a big hit at my house too. Thanks for linking to my muffins! I love the bright red color of these and yes, cranberries are on of my favorites come fall. I have not seen them in stores yet, but when I do I will be making these ASAP! Leisure breakfasts are the best things about the weekends! I don’t think I have ever baked with fresh cranberries! Yum! These muffins look amazing! I just baked cookies with cranberries, but dried, for a post that's coming up. I would love some fresh! Haven't seen any yet but am awaiting them!